I have read leadership and management literature for more than a decade. Along the way, I have applied many of the lessons I learned from books, articles, seminars, mentors, coaches, and colleagues. This past week was a defining moment for me as a leader. I am the new Head of School of Albert Einstein Academy Jewish Day School (AEA) in Wilmington, DE. While I started the job many weeks ago, last week included our first meeting of the Board of Trustees and the crucial teacher in-service days meant to launch the school year. By focusing on aligning hearts, I believe my leadership made a positive impact. How did I do it in a way consistent with my roles as rabbi and educator? I reminded each group of the wisdom of chazal (the ancient Sages of blessed memory). The ancient wisdom I shared served as a frame for the issues of the day. In my many years working in Jewish organizational life, I have sat in board meetings. Some meetings are run better than others; some boards are better than others. Without question, this past week’s meeting was the best I have seen. The president ably oriented the board members to their responsibilities, with a matching charge from a rabbinic representative; and the board members introduced themselves with a spirit of investment in the past, present, and future of the school. In the middle of all that, I gave a report in which I sought to indicate the many issues I faced and am facing as Head of School, issues I see as challenges, not problems. In the spirit of the Sage Rabbi Elazar ben Azariah, whose beard turned white when he was appointed patriarch of the rabbinical academy at a young age, I taught that facing challenges can be about flourishing, not just fixing. Through choice words and tone, I aligned the board’s future responsibility with my own professionalism and their warm feelings of connection with my own openness. 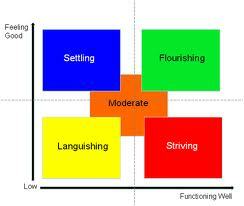 Why am I focusing on alignment? Because it works. I saw it in action the day after that meeting when the faculty was hard at work. Alignment is enabling. Whether through the guidance of vision, through the trust of deep relationships, or the charge to follow one’s passions, being able to align oneself with an institution and/or its leaders enables one to act with purpose. As Thomas J. Sergiovanni writes in Strengthening the Heartbeat: Leading and Learning Together in Schools, “The key to making things better is to enable teachers–to give them the discretion, the support, the preparation, and the guidance necessary to get the job done” (page 9). By aligning hearts, we not only enable teachers (and other stakeholders) “to get the job done,” we enable them to reach new heights. The discussion we had surrounded this reading by Raba of Psalm 1:2 hammered home the point that we all learn best and work best when we are doing something we love. Likewise, as the Talmud goes on to explain, sometimes we need to introduce material for it to become loved. Either way, the more we encourage our students find their passions, to discover new ones, and to pursue them, the more we further our students education as a whole. It is never about one piece of information; it is always about learning to learn. 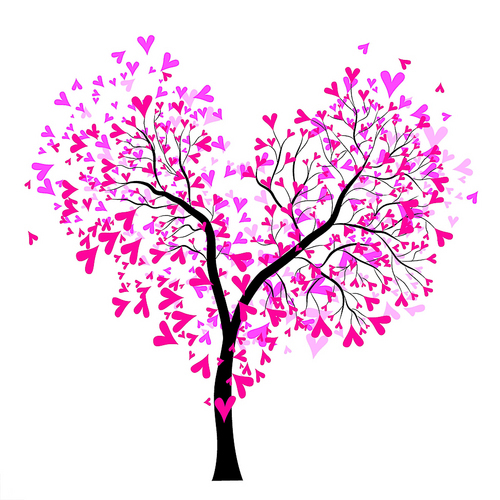 We flourish as learners when we align our hearts with our responsibilities. A few hours later, some teacher assignments in the school were reshuffled based emphatically on teachers’ passions. I believe we enabled teachers to flourish in ways that will allow our students to flourish. All by aligning hearts. Many of the techniques I used over the past week are part of my training in leadership. The strongest impact, though, came from learning with others, alongside others. I intended to model being a learner. In doing so, I found my heart’s desire. This blog post is meant to keep in front of me that vision of aligning hearts, a vision of living education. What vision aligns your learning or teaching with your heart, your passion? As we start a new year, what will keep your heart aligned with your work? Albert Einstein Academy (AEA), the premier Jewish Day School of the Brandywine Valley, was one of the first schools in the United States to be wired. Since then, the development of internet and computing technology has moved well beyond creating the infrastructure to network a school. As the new Head of School, it has been my challenge to determine a path forward to put AEA ahead of the curve again. 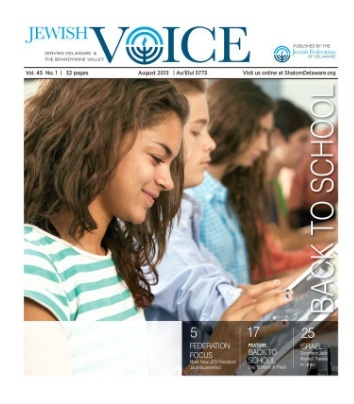 The August 2013 issue of our local Jewish community newspaper, The Jewish Voice, published a series of articles from JNS.org suggesting that 21st-Century Jewish Day Schools should be using tablets and any of a number of online learning tools. These articles do a good job of creating excitement around the innovative use of technologies to support learning. Less obvious is the undercurrent of concern about aligning the right hardware with new programs and programs yet to be developed. In the spirit of the school’s namesake, we are going to experiment and to network. Albert Einstein’s theories came as a result of thinking through options to find those ideas that conformed to science and physical reality. He corresponded with fellow scientists around the world to test his ideas and to learn from others. This year, faculty, staff, and some students and parents will test options for digital education tools. The faculty and staff will be asked to use Google Apps for Education to see if its tools and privacy provide a vibrant space for teamwork, organization, and lesson plans that incorporate web-based resources. After tapping my network at the University of Delaware and the JEDLAB Facebook group for advice, I registered to log into edmodocon on August 7th to check out EdModo. During the year, willing teachers will be encouraged to try Kidblog and/or Schoology for individual classes or projects. If we had older students, we would look at other systems like Haiku. By year’s end, we ought to know better our reality–where to focus our attention for the school’s 45th year and whether we should be investing in Chromebooks, tablets, devices from home, or our current desktops. I say year’s end because choosing the right hardware depends greatly on what programs one will use on it. More to the point, these devices, learning management systems, and online tools matter much less than what we are trying to achieve—preparing our children to succeed in the world they will inhabit. Given our quest to educate the whole child, today’s tech must be seen, not as the goal, but as a tool among others. The real technology of a Jewish day school is lived Jewish learning. Jewish learning is, at its roots, relational. No student is a blank canvas onto which data is plotted. Jewish learning asks students to partner with other students and to interact with generations of commentators. The relationship is not merely temporal, it is active–active inquiry. We ask questions: questions of our study partners, questions of our teachers, questions of the sages of the tradition, and questions of the texts themselves. The network is assumed; Jewish learning activates it. By learning how to activate the learning network, students learn who they are; they become grounded with roots that allow them to deal with all the information and all the experiences they will encounter as they grow into a world we can only imagine. One of my favorite Jewish technologies is Shabbat, a time to cease from work and to re-soul. When we stop working, we are able to look back and appreciate our progress. We give value to our work by entering a space of appreciation for all we have. This experience holds true for much of the year as the technology of the Jewish calendar forces us to note the seasons and our foundational histories. Rituals for the Jewish lifecycle are the software that feeds our spirits as we celebrate milestones, mourn in community, and tap into our unique purposes. If we are not focused on the Jewish technologies of how to learn and how to live, neither the latest gadget nor the best new app will educate our children. We should seek the best tools for advancing our efforts to teach, but we must do so with our eyes on the prize, the prize of a self-motivated learner who has the moral empathy and inquisitive grit to gain wisdom. If we do that, we will surely be ahead of the curve.